For as long as four-time Olympic gold medalist Sanya Richards-Ross can remember, life has been measured in seconds—the fewer, the better. 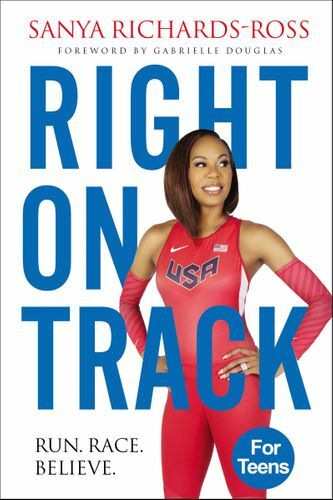 The Jamaican-American sprinter has been a star track and field athlete since she first began racing, ranking No. 1 in the world and bringing home Olympic and World Championship accolades. A role model for runners around the world, Sanya’s incredible success is matched only by her spirit both on and off the track. From her early days running in Jamaica to her final race, Sanya shares the importance of determination, courage and faith. She uses the 4 Ps—push, pace, position and poise—a model created by her coach, Clyde Hart, to approach and tackle every obstacle. In her book, Sanya reveals how these strategies have helped her and will help kids learn how to run their best race in life. 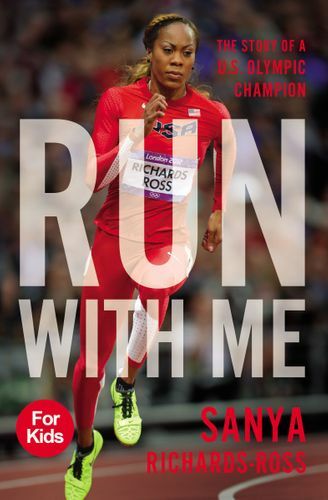 Run with Me is Sanya’s story—her wins and her losses—chronicling her unique triumphs and trials with fame, family and faith. Written purposely for the 8-12 audience, this book will inspire kids to pursue their dreams at full speed. Run With Me has a beautiful embossed cover.